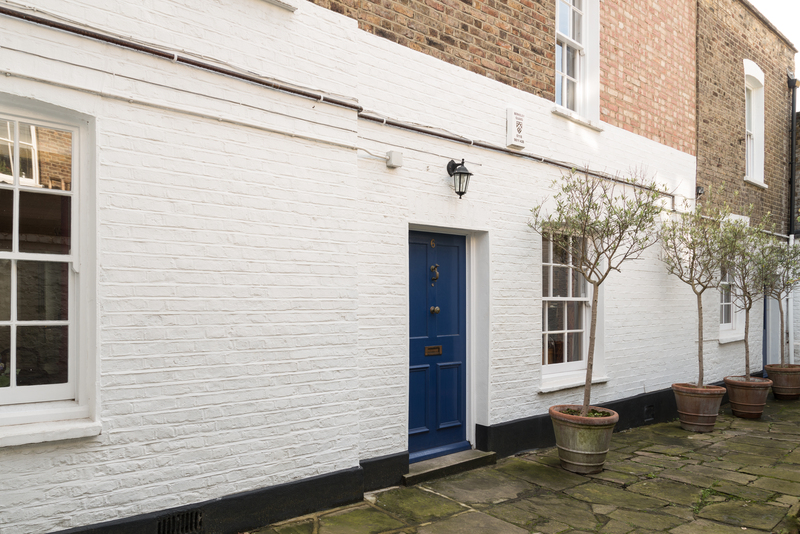 Located off a narrow pedestrian passage in a North London conservation area, these two adjoining cottages sit within a mix of retail and residential 18th- and 19th-century buildings on narrow plot-widths. 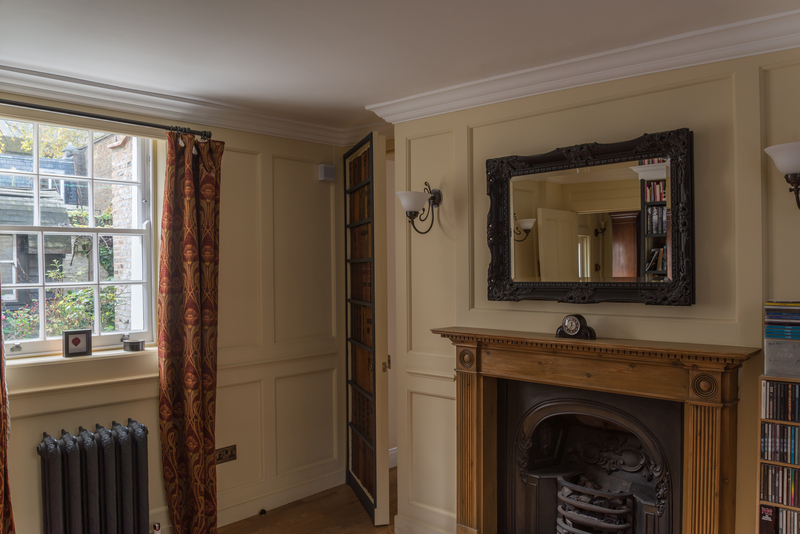 The cottages are probably 18th century in origin, but they had undergone considerable alteration over the years, predominately in the 20th century, so that little original fabric remained. 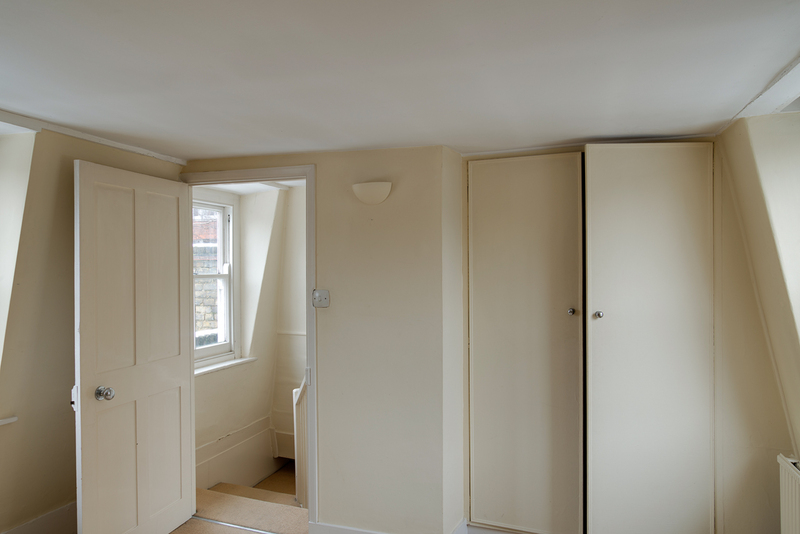 A further extension to a ground floor extension was added in 2006, and many of the rooms did not function in terms of space or flow. 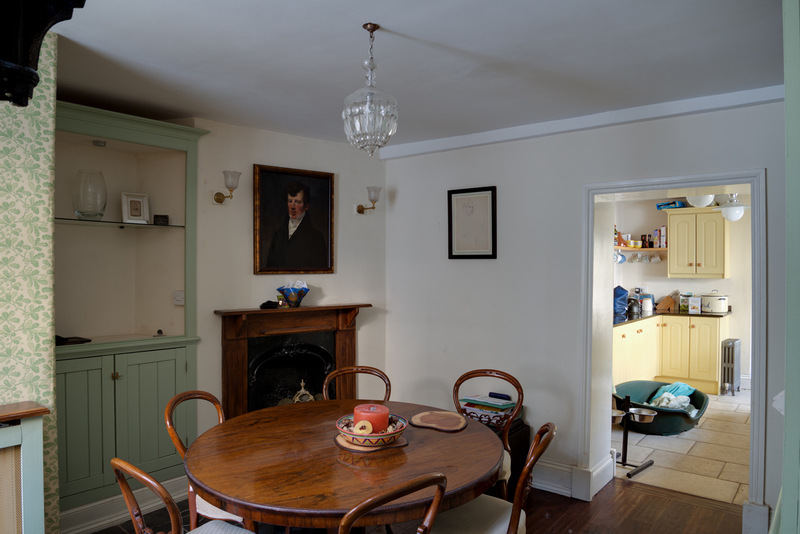 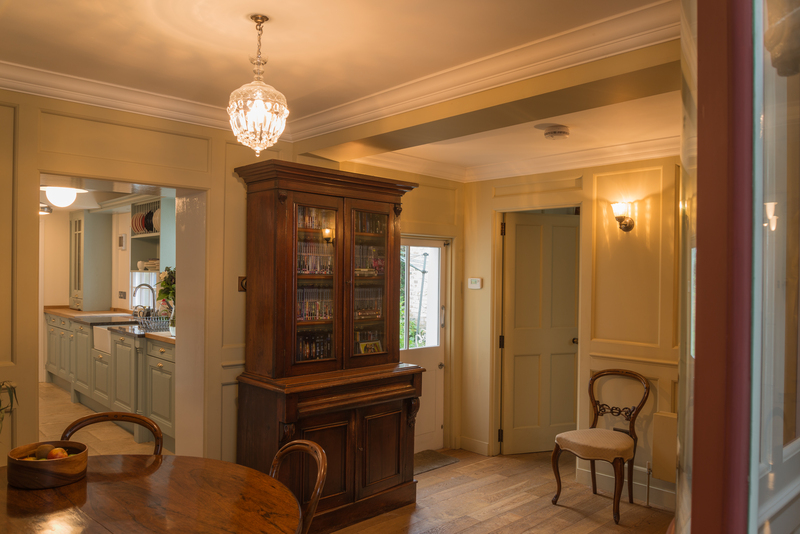 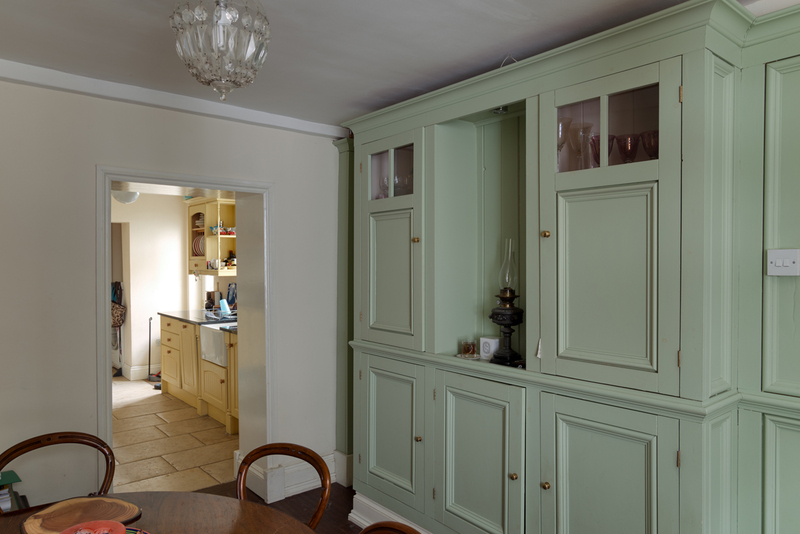 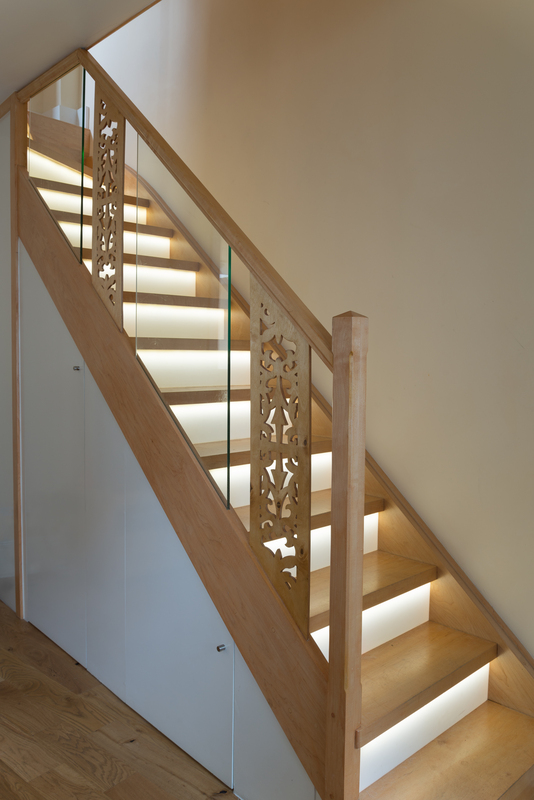 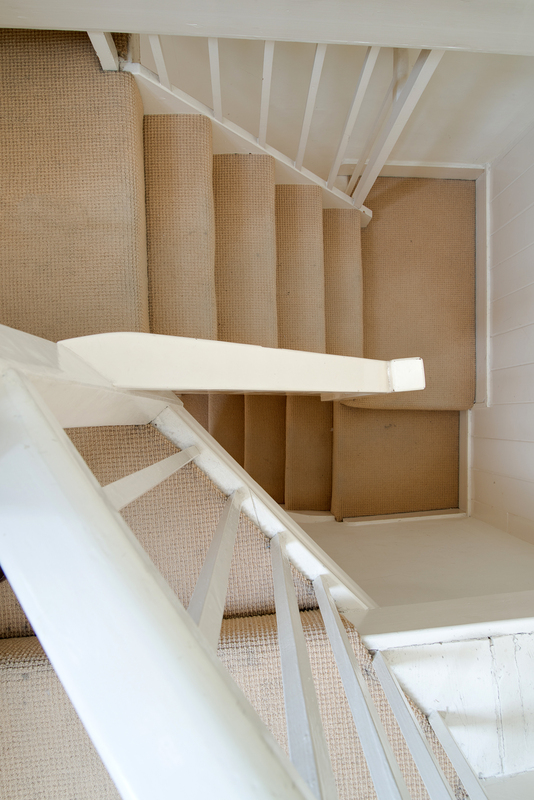 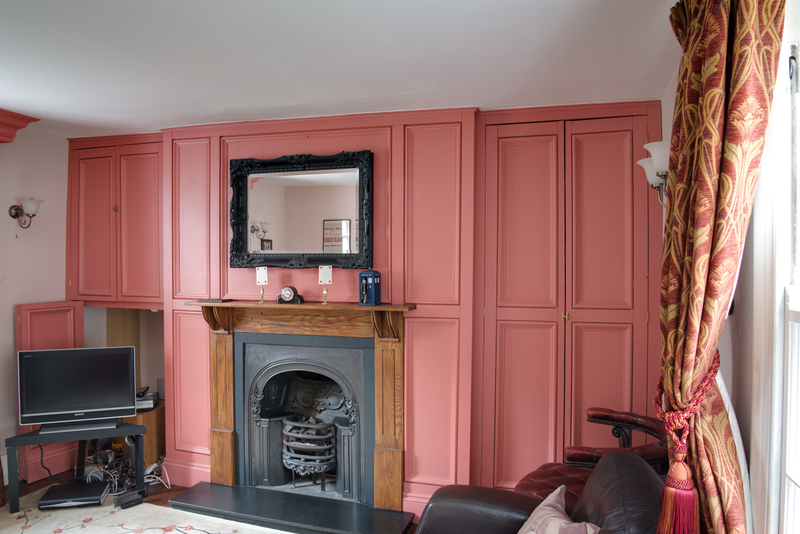 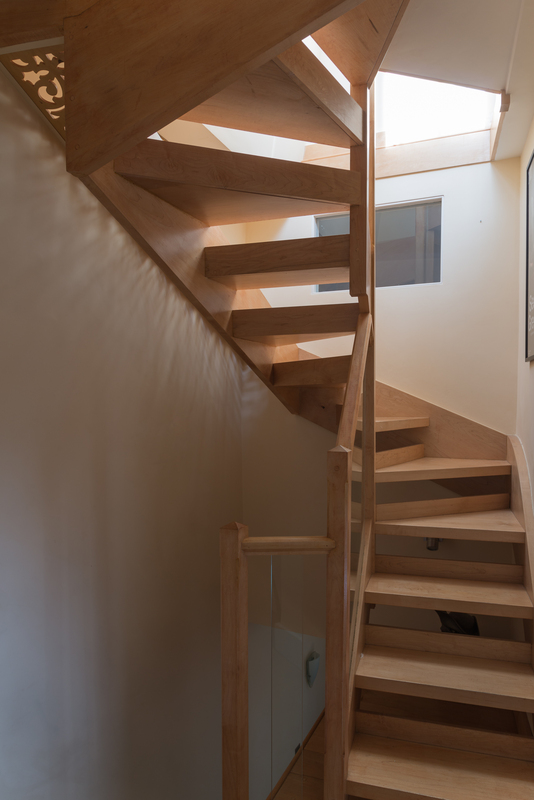 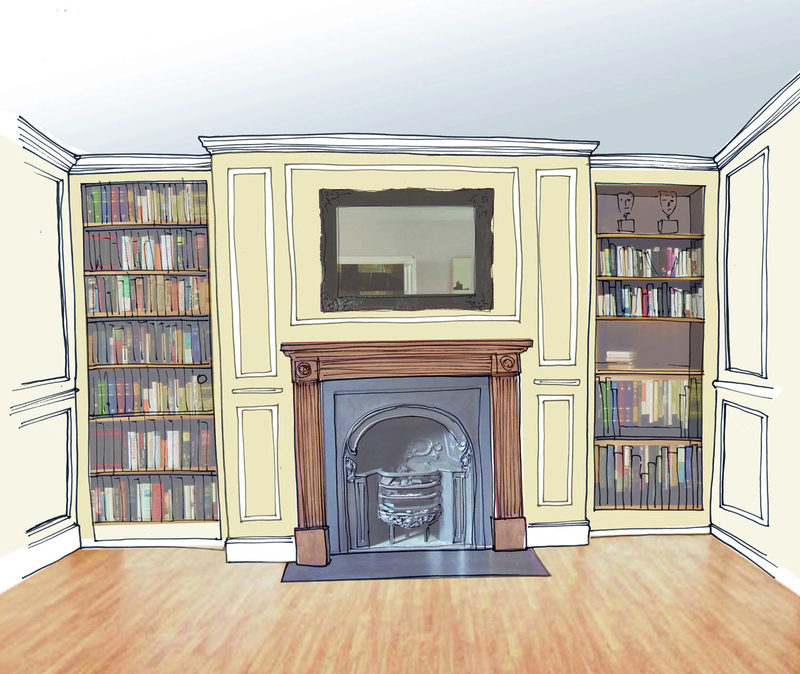 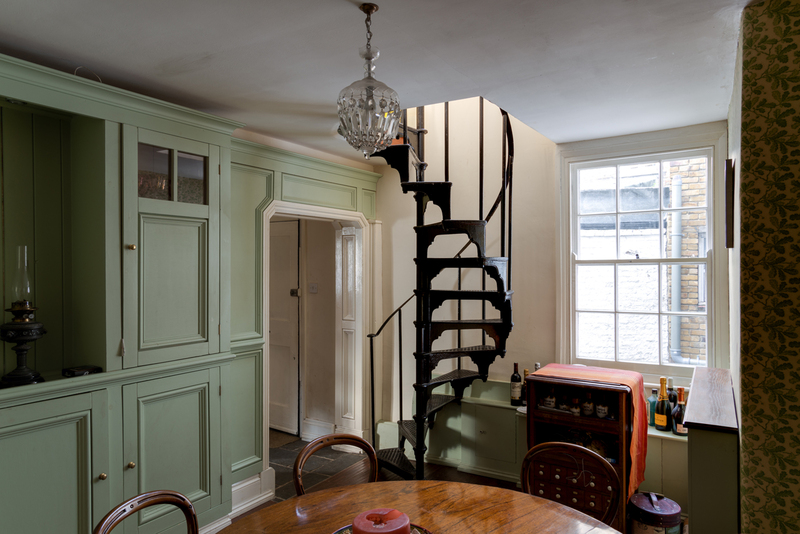 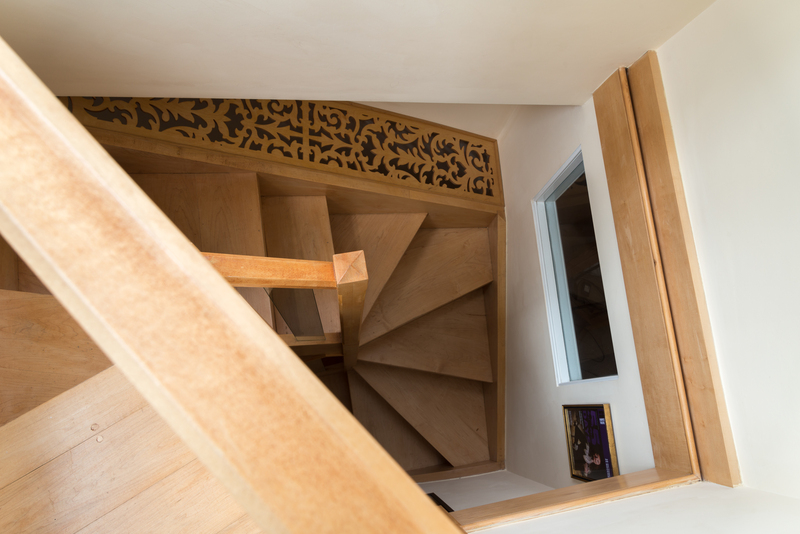 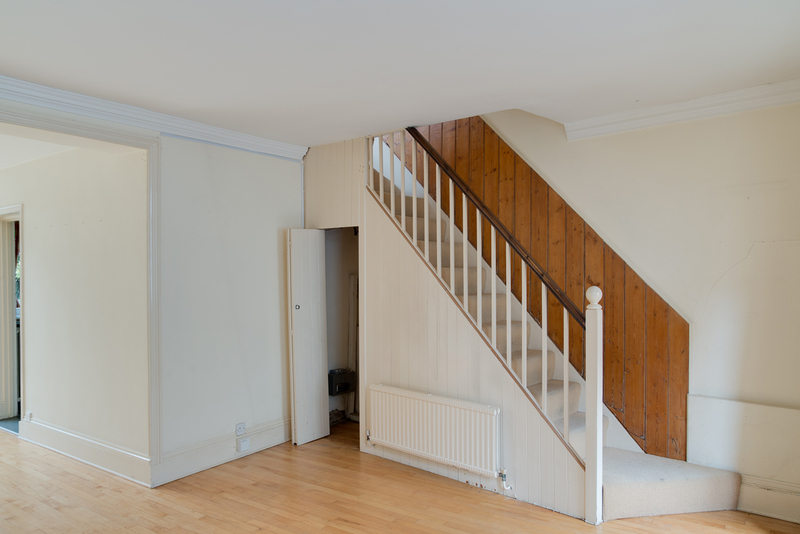 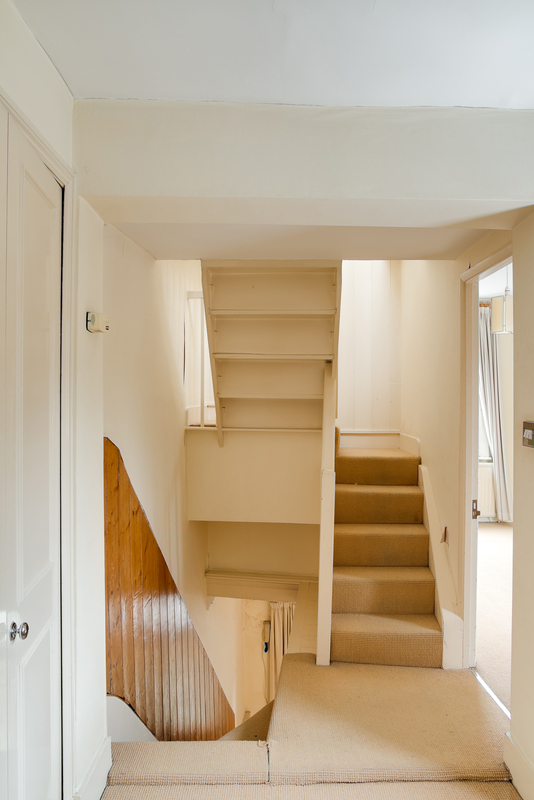 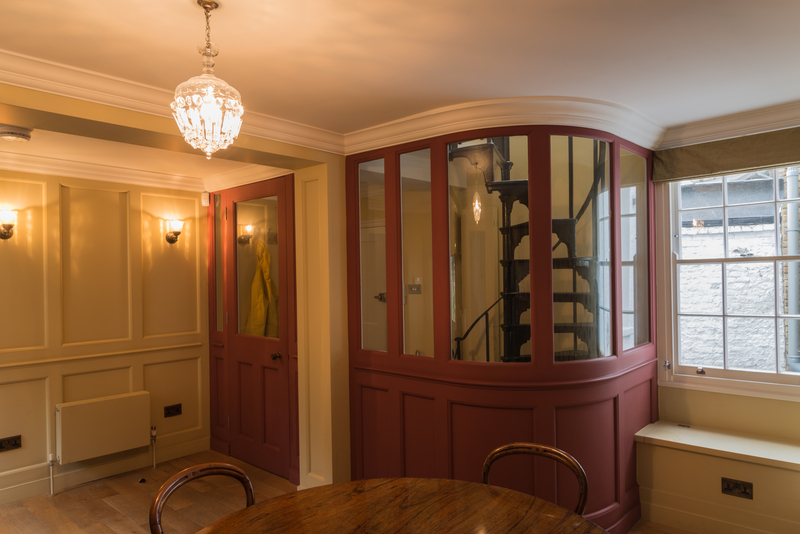 We joined the two cottages together, inserted a new staircase in a very tight space up into a Mansard roof, created a new library with a faux bookcase door and opened out the ground floor living room. 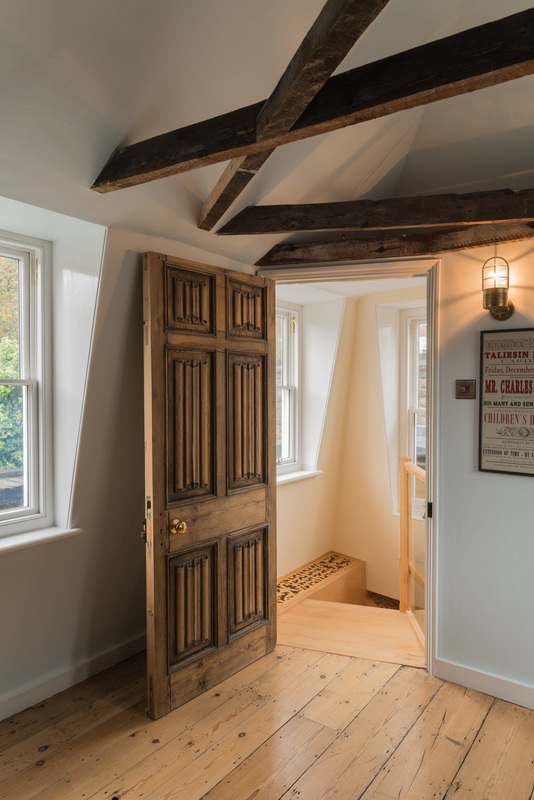 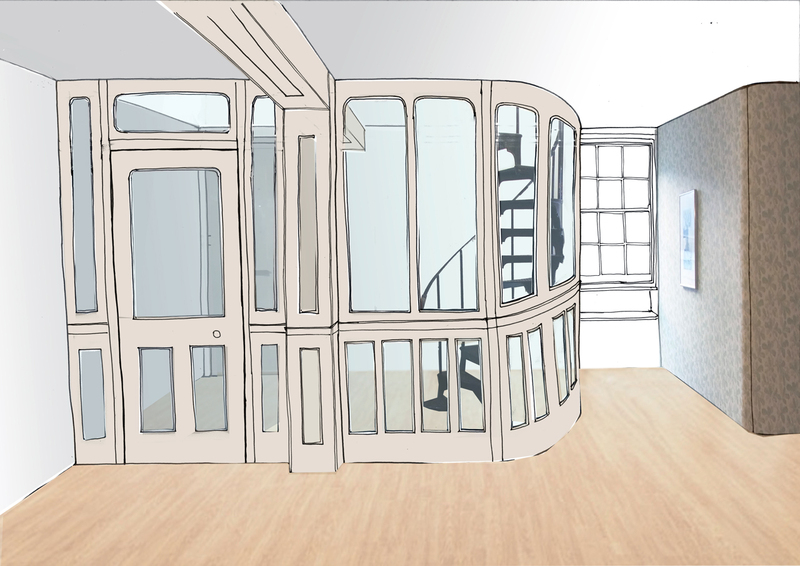 Writer’s garret entered via a reclaimed door – after.